Motorola has announced that it intends to formally separate its loss-making handset division from its set-top box and networking solutions business in 2009. Reuters reports that the move has come about after sustained pressure from investors. Motorola is reported to have lost 60 per cent of its market share in the past year, down to $22 billion. No potential outright buyers have yet emerged, increasing speculation that Motorola could be looking for a strategic investor instead. Such a prospect could well interest a Chinese or Japanese handset maker looking for increased share of the US market. "I suspect it's a prelude for a joint venture for the mobile devices business," explains Avian Securities analyst Tero Kuittinen. While Motorola itself is putting a positive spin on things, some analysts have expressed fears that any merger or partnership could lead to a loss of talent from the company, with speculation that some employees could easily be poached if the instability continues. Although Motorola currently lies third in the mobile phone manufacturing table behind Nokia and SonyEricsson, the company has suffered losses in successive years. It has come under criticism for failing to replace its once-lauded but now ageing RAZR handset. "Motorola has had big problems with its handset business for some time now, with poor sales and a falling market share," said TechRadar's resident mobile specialist Phil Lattimore. 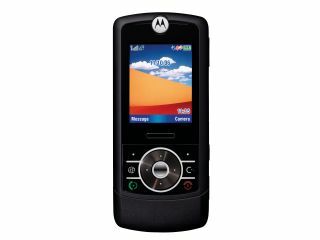 Lattimore adeed: "Since the RAZR, Motorola has struggled to come up with another hit handset, and in some ways the success of the RAZR has been a double-edged sword for Motorola. It pushed the RAZR as far as it could go, but perhaps at the expense of developing other significantly innovative and attractive handsets to follow it up." Despite the company’s seemingly perilous predicament the reception on the wider market to yesterday’s announcement was positive, leading to a small rise in Motorola’s share price.